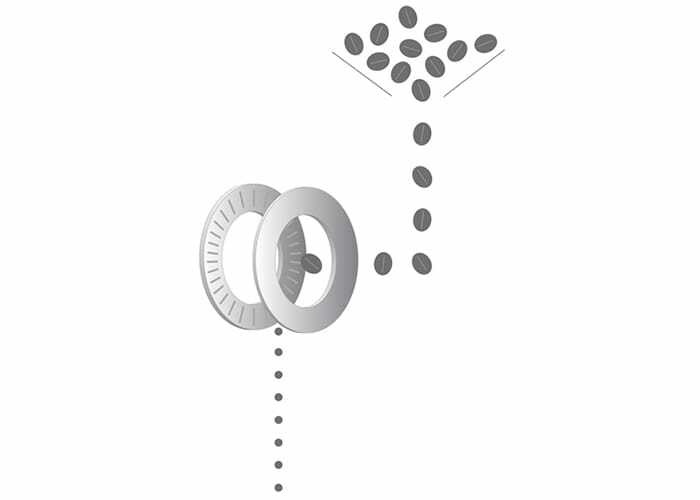 The biggest design characteristic separating our grinders into two categories is whether they are of roller or disc-style. 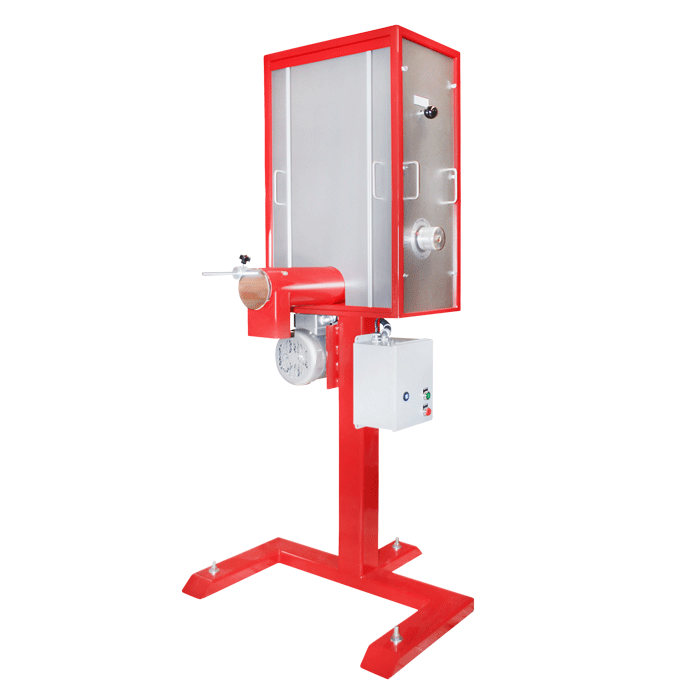 Industrial roller style grinders are desirable in larger capacity settings, whereas gourmet disc-style grinders are suitable for smaller capacities. However, somewhere between disc style and roller style grinders there is some crossover. "Grinder" or "Granulizer" What's the difference? When dealing with industrial roller style equipment only, we use the term granulizer. All granulizers are grinders, but not all grinders are granulizers. Disc style grinders are suitable for smaller capacities. Our largest capacity disc style grinder is our GPC-140 which can grind up to 1,000 lb/hr (450 kg/hr), about the same as our smallest industrial roller style grinder--the 600 F.
The GPX is the smallest disc-style grinder we make, which can grind up to 500 lb/hr. Industrial roller style grinders are desirable in larger capacity settings. 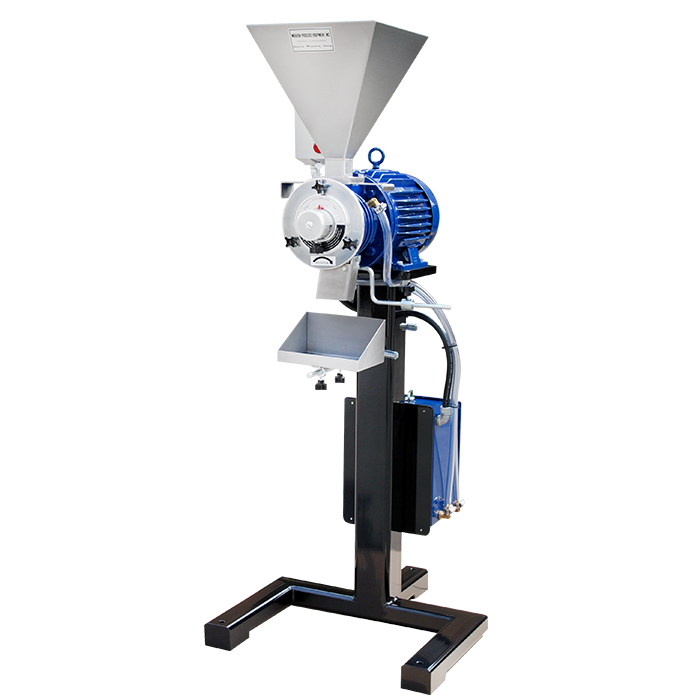 Our largest capacity roller style grinder is our 1000 Series granulizer which can grind up to 15,500 lb/hr (7,000 kg/hr) of filter coffee. The SRM-4555 is actually our smallest roller style coffee grinder with a grind capacity up to 600 lb/hr. 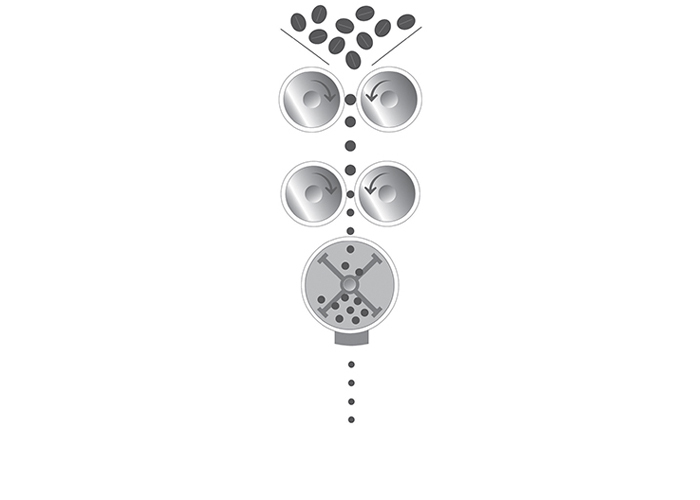 The accuracy of roller style grinders is unparalleled when looking at particle size distributions. However, the value of disc style grinders is favorable when considering cost and flexibility. At some point it helps to talk with a sales engineer who can handle the technical demands of choosing an ideal grinder for you. The Model GPX.WCI is the ultimate disc-style coffee grinder. Not only does this model deliver superior grind quality for optimal brew performance, but it also keeps coffee 75% cooler than traditional disc-style grinders. The Model GPC-140 is a gourmet disc-style grinder designed to run continuously and deliver a superior coffee grind. The GPC-140 uses 7.1 inch diameter “diamond hard” grinding discs that are precision-cut. 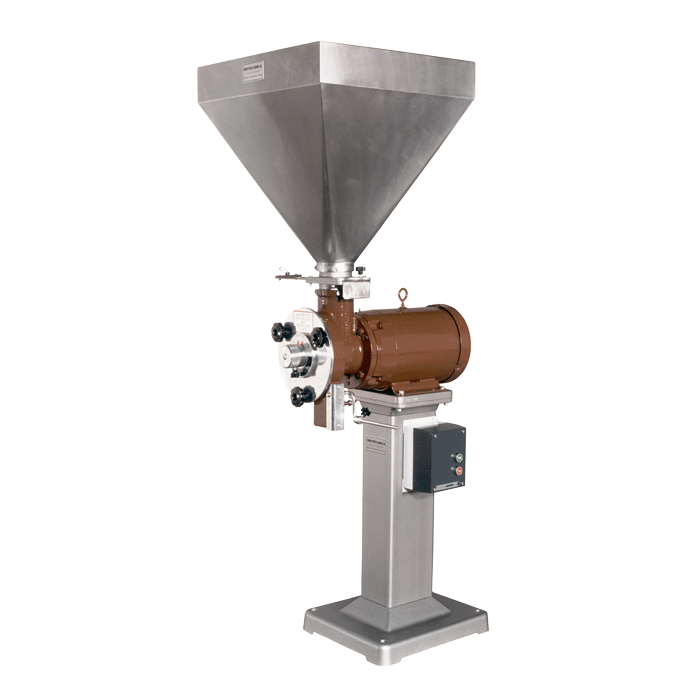 The SRM-4555 is the world’s smallest roller-style coffee grinder, producing up to 600 lb/hr of ground coffee with an extremely uniform particle size. 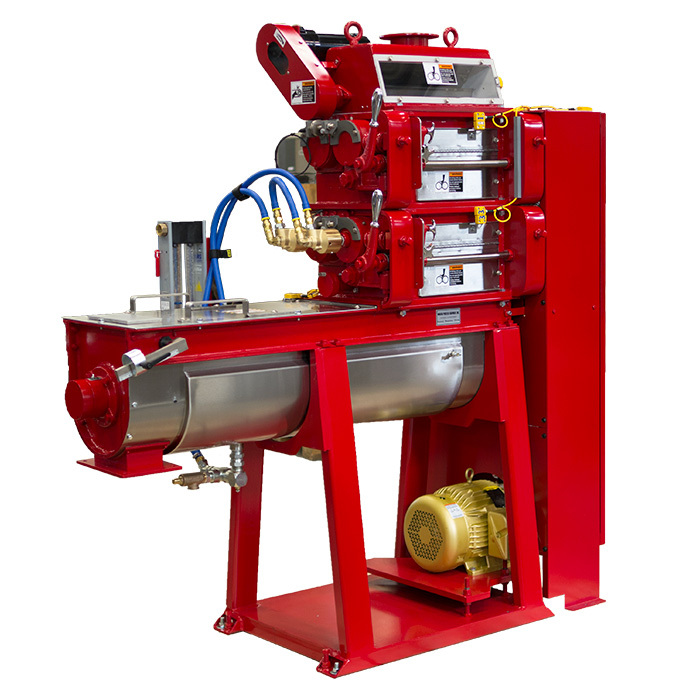 It utilizes the same technology as large “industrial” coffee grinders. 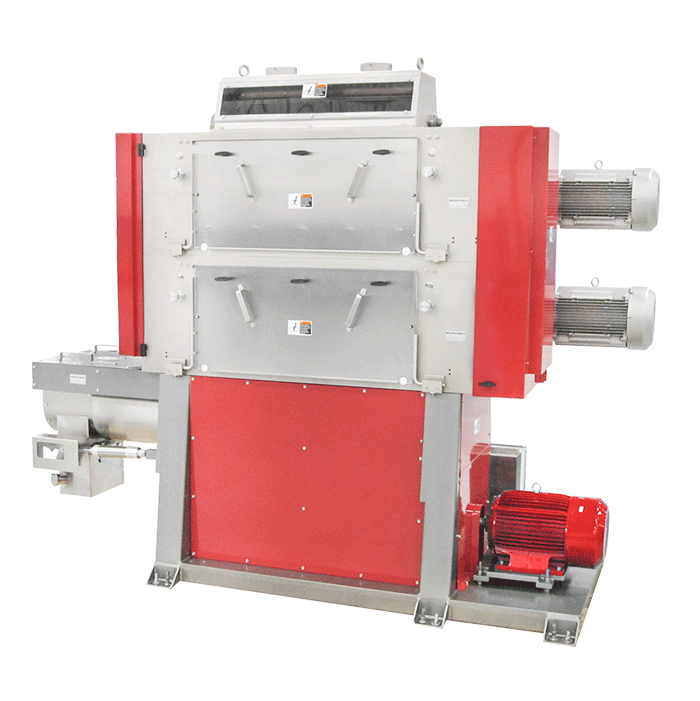 The IMD 1060 is a large, heavy duty roller mill granulizer offered by MPE. Typically machines have one to four vertically-stacked roll sections, where each machine is custom engineered for your product.